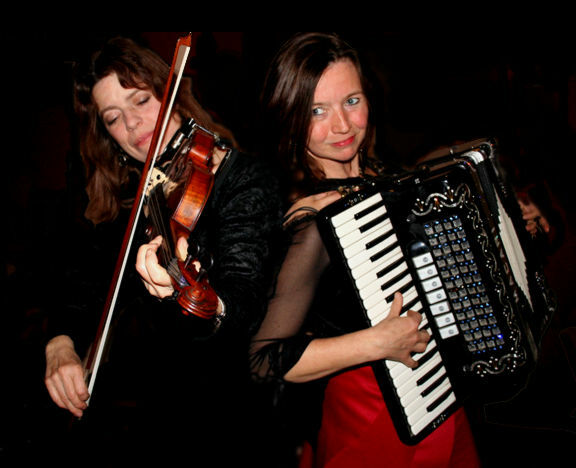 BOW & BELLOWS are a stunningly versatile violin, horn and accordion duo. 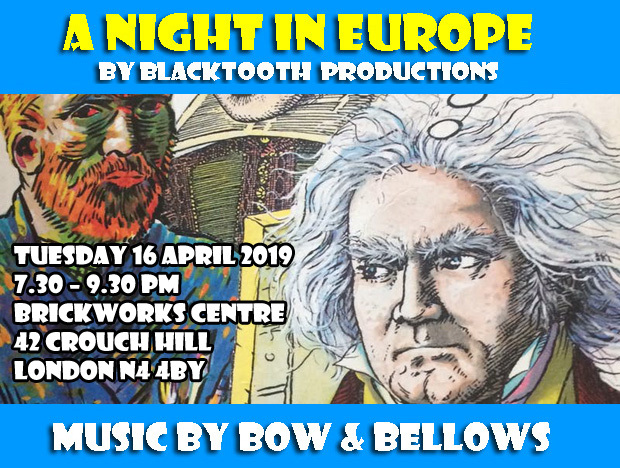 They play and sing their own compelling arrangements of Klezmer, Balkan and Gypsy music with occasional sorties to savour the musical traditions of other countries. 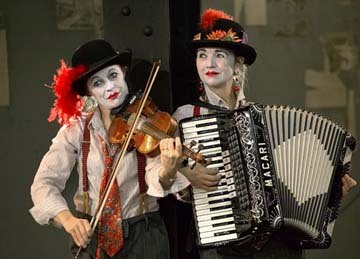 Sally Davies and Martina Schwarz met in 2000 whilst providing the music for a touring theatre production and formed the duo soon afterwards. Since then they have had a steady stream of engagements both, for private functions and in a wide variety of venues, ranging from cafes, folk clubs, embassies, festivals, to the National Theatre Foyer and the Purcell Room.